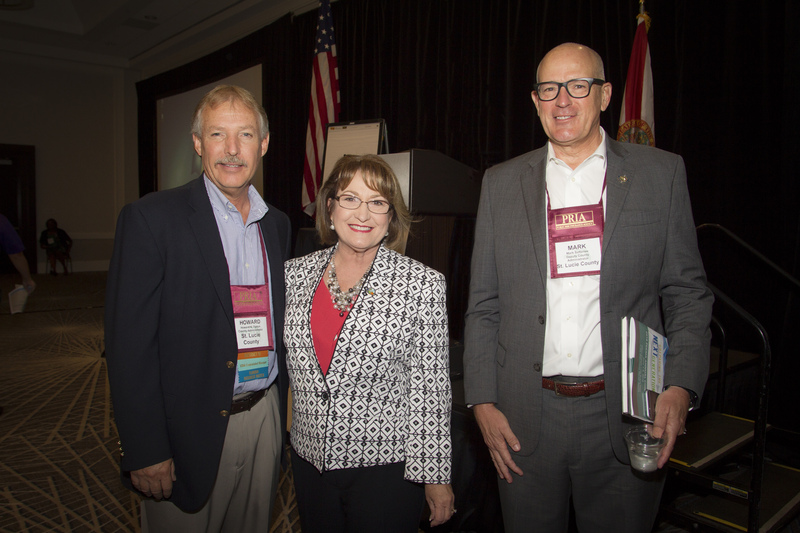 Municipal leaders from local governments across the state recently gathered at the Florida City and County Management Association’s (FCCMA) 2016 Annual Conference held at the Hilton Orlando Lake Buena Vista Walt Disney World Resort. With more than 250 individuals in attendance, Mayor Jacobs kicked off the conference during the opening session by reflecting on the importance of partnerships between local elected officials, county and city managers and constituents in their communities. FCCMA is a professional organization of practicing public administrators throughout Florida’s local governments. This is the fourth year FCCMA’s annual conference has been held in Orange County. The theme of this year’s conference, “Preparing the Next Generation,” encourages senior managers to focus on their role as developers of talent, emphasizing the rewards of their profession in public service. The organization hopes to inspire future managers to be more aware of the many opportunities available to further develop the skill sets of public administrators, civil servants and government employees. The conference, held from June 1 through June 4, was comprised of workshops, relevant guest speakers, resume reviews, networking events and more. FCCMA is committed to supporting and promoting the highest ethical and professional standards among county and city managers, providing education, support and growth opportunities and fostering community awareness of the critical issues of governance. To view photos from the event, visit Mayor Jacobs’ Flickr album.